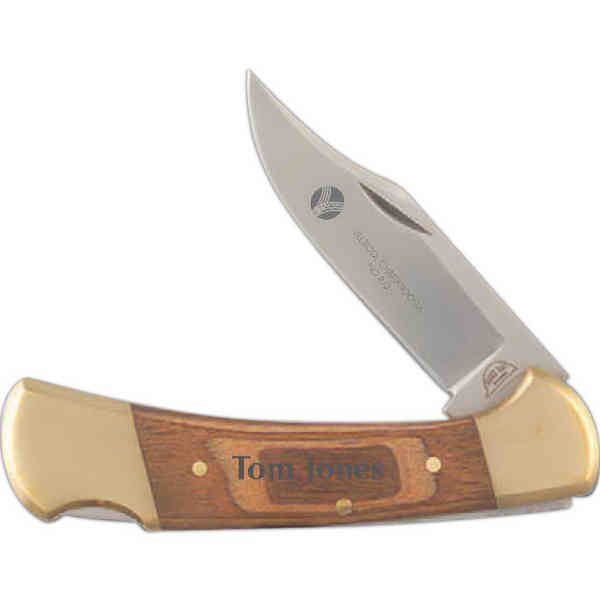 Folding pocket knife with a 3 1/4" Clark Sharp 440 stainless steel hollow ground fine edge safety locking blade, an exotic Brazilian southern oak wood handle, 4 1/8". Diamond engravable brass knife ends. Imprint Size:3/8" x 1 3/4", 1/4" x 1 1/4"